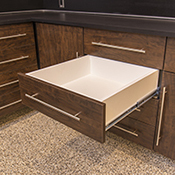 GarageExperts Is A National, Vertically Integrated Provider of Quality Garage Cabinets, Epoxy Floor Coating Systems And Organizational Products. 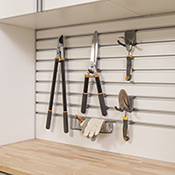 We provide value to our franchisees and their customers, by offering the largest variety of product choices and solutions all backed with a lifetime warranty. We are the industry leader in product offerings, training, business systems and warranty coverage. 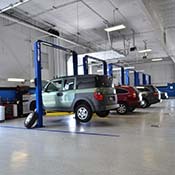 Unlike other companies that may provide garage products as part of their offerings, GarageExperts specializes in quality garage enhancement solutions that are designed to be both beautiful and long lasting. Fill out this form to contact a representative at our corporate offices. To contact your local franchise, please use the form above. Thanks for contacting us! We will contact you shortly. There was a problem submitting your information. Please, try again later. 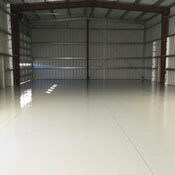 Each GarageExperts franchisee is factory trained to correctly install epoxy garage flooring and cabinets that will transform your garage into a long-lasting organized and usable space.